Well here we are again, a year after my last blog where I promised more blogs… What can I say except life happened, a lot of it, and well quite frankly, I’m still recovering from it all. I feel like every year for the past several years has been “The Hardest Year of My Life.” I have lost very close people, I have gone through the process of closing a business, opening a business and then subsequently closing that business. I’ve been frantically searching and grasping for something real for a very, very long time. Through these ups and downs the past few years (there were a lot of both!) I really had a hard time processing the grief of losing my grandparents. I was suffering deeply internally, therefore I couldn’t figure out how to let them go, because I held them so very close to me my entire life. I knew that if I was in pain and then let them go, I would be completely empty. If you have followed me for any length of time, you know that I bring them up on the reg in my social media posts. 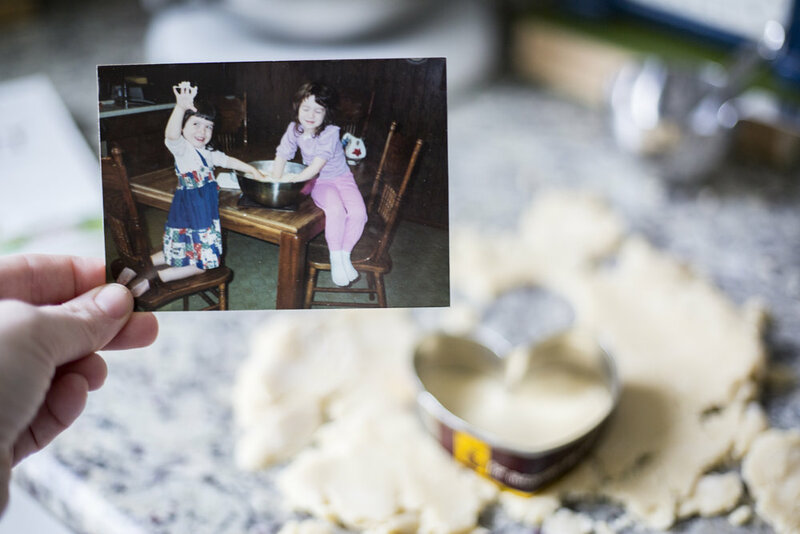 I use things of theirs almost daily, I talk about memories of them and mostly I have this desire to share the best parts about my childhood because I have the best memories from them! They were pretty awesome, a couple of my favorite people in fact, and when they passed (especially my grandma) I was completely and utterly devastated. They said things would get better over time, but almost 3 years in I was still crying over the death of my grandmother almost every day. My Sister and I on “Bread Day” at Grandma’s House! She was really an amazing baker! Just look how happy those two little girls are?! Of course I would crave that feeling of comfort and home when I was struggling so deeply. My grandparents were home for me. No, I will not go into the long and short of my pain and struggles at this time. You do not need to know the details of why I was unhappy or the events leading up to the past year. They are for me. But what happened most importantly, is that I decided to LIVE. And I’m not talking about the kind of “LIVE” I’d been living, where I felt like I was standing in the center of a tornado while the rest of the world was spinning out of control around me. I needed to and did make a drastic change in my life in August of 2018. It was the biggest, scariest decision I’ve ever made and subsequently caused many other people close to me pain, which as a chronic giver, was devastating for me to have to do. However, the prospect of continuing to live the way I was, simply was not an option for me any longer. The last six months have given me the space, time and peace of mind that I needed to finally start healing from all of my grief. The other day I was speaking with someone about my grandmother and I had the abrupt realization that I had not cried over my loss of her in a pretty long amount of time. I thought at one point that this was just my new normal, that I would cry every day forever and that was just how it would be. I had not even realized it had started to subside but when I did realize it, of course, I cried!! But I cried because I was finally starting to let her go and that it wasn’t a sad thing anymore; that it was just time and I was starting to be able to breathe again. I can actually say with full honesty that I am beginning to feel happiness again, like genuine, smiling for no reason, happiness. No things definitely aren’t all sunshine and roses all the time but I feel amazing most days - which is a double edged sword because I know that people on the other side are still recovering from what happened. So why this story? Its kind of funny, but Sugar Cookies! 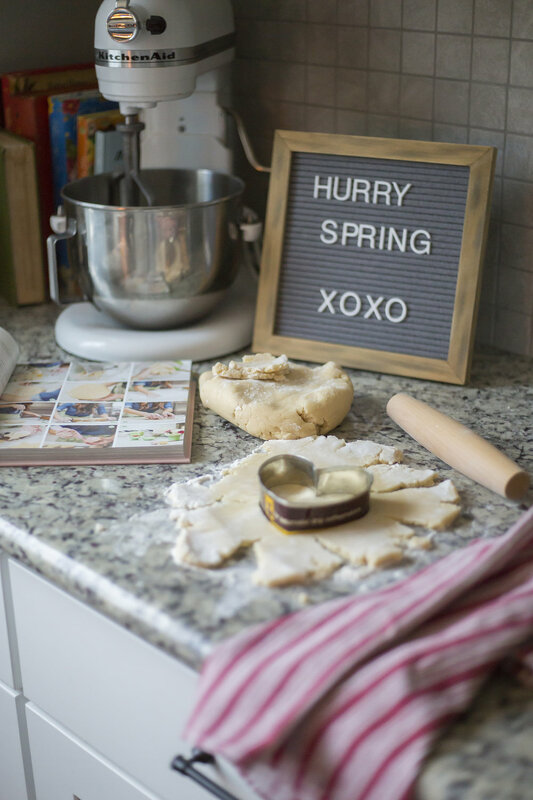 What do sugar cookies have to do with grief and happiness and all the things I talked about above? Well, because its February and February is traditionally the month that everyone gets big heart eyes and social media is blasted with pink everything that you need to buy to show the people you love that you love them. This brings up issues for me because I grew up watching my grandparent’s love, which was actually very simple, but deeply sweet and I want to share this aspect of how they loved with all of you. Hence - I blog. As a child, everyone gets very excited for Valentines day parties at school. You make your little mailbox and everyone in class writes out the silly little folded Valentines cards and someone brings goodies for the class to share. It was always so fun, but my favorite Valentine every single year were the ones I would get after school from my Grandma. 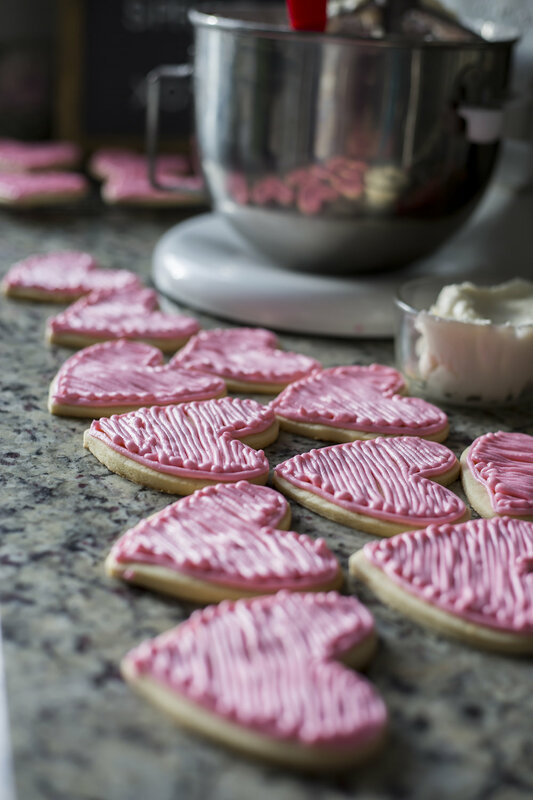 She baked heart shaped sugar cookies with pink frosting each year and would make one cookie for every single person she loved and write their name on the cookie in white icing. I did not realize it as a child - I realize it as a grown adult who can no longer express my gratitude to her - but with that simple little treat I knew she loved me, genuinely loved me and wanted me to feel special on Valentines day. Then, there was the part about my grandpa’s love for my grandma, and how he contributed to this yearly tradition, which I will talk about below. This year, I wanted to do that exact thing for my kids. I whipped up some dough from my friend and favorite baker, Jenny Cookies, cookbook. It is the “World’s Best Sugar Cookie” according to Tori Spelling — so you know its good right?! Plus, I have her cookbook that conveniently has that recipe in the first 3 pages. I rolled out the chilled dough and then it was time for the hearts! Ok, here is the part where I have to dote on my Grandpa’s love for my Grandma for a bit… They loved each other more than any two humans could love one another but you almost never would have known it. Their love was all about quiet, simple ways they showed each other they cared. They were married for over 50 years and my grandpa never even wore a ring, but after he died, she had a beat up old photo of him sitting in front of her in the kitchen, that she sat and stared at every day for 6 years until they were finally able to be together again. My grandpa knew my grandma made these cookies every year for the people she loved and she had a need for the perfect sized, heart shaped, cookie cutter. That cool dude took an old Folgers coffee can out to his shop and welded this heart for his wife to use when she made cookies. That, my friends, is simply what it’s all about right there. 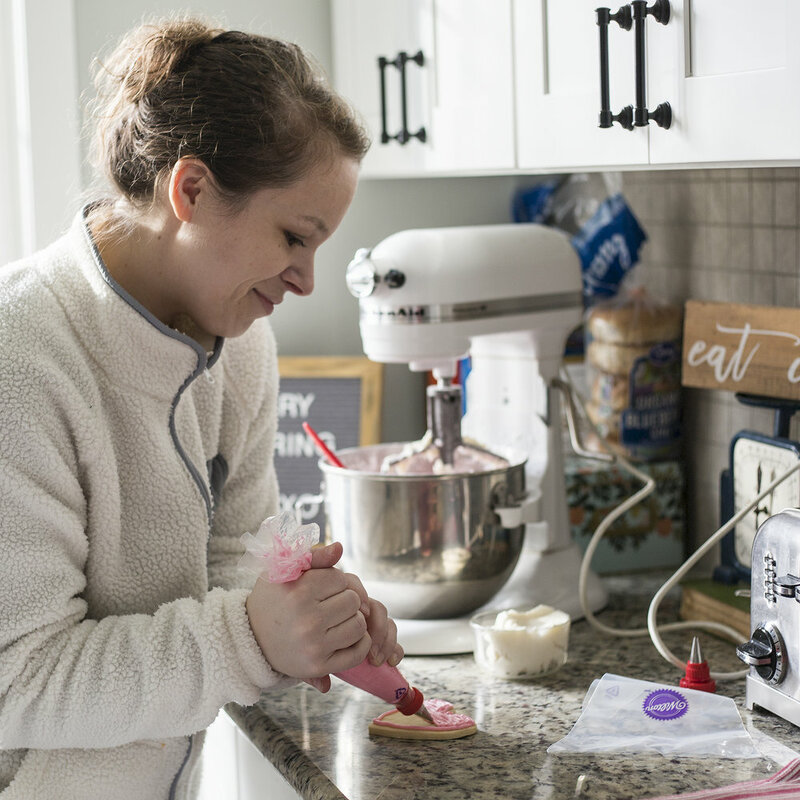 I took one of Jenny’s cookie workshops about 18 months ago, and got to learn some great tips and tricks from her about baking and icing the world’s best sugar cookies. While my piping skills are not Bakeshop quality, I am improving every time! So I cried (not shocking!) 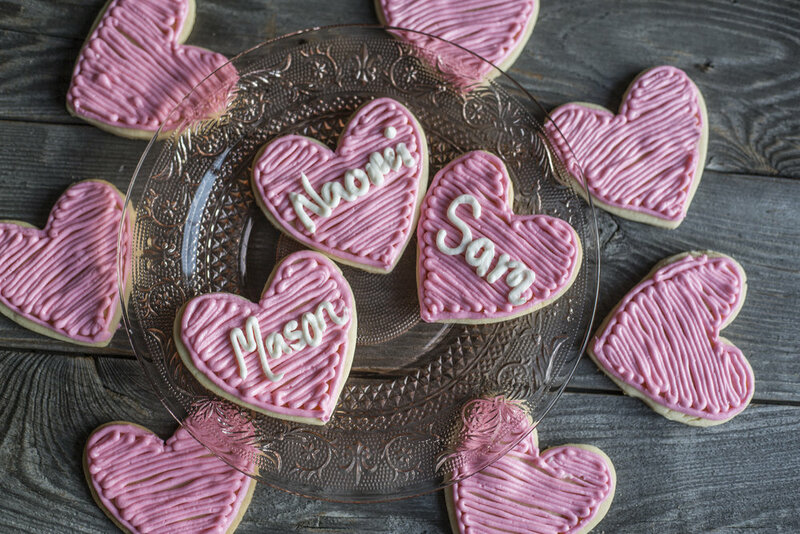 and got very nostalgic while I was writing our names in white icing on those cookies. Not out of sadness though. Out of thoughtfulness, and intent and love! Love for my grandparents, that I had such an amazing example of what real love should look like. Love for my two children, that I can show them through my love how to navigate this sea of life. And self love, that I can begin again with the realization that everyone deserves the kind of love that is is as simple and sweet as having a cookie with your name on it and a partner who will make you the perfect cookie cutter. I want to write more. It’s inside me aching to get out. I don’t know if that will be in blog form or what seems to have become my online journal on Instagram or if I will finally start chapter 2 of that book thats in me. I’m not making any promises, but I honestly can’t wait to find out what happens! As we begin the new year I am feeling nostalgic but relieved that 2017 is finally behind me. I feel as if I was waiting so long for 2018 to arrive but now that its here I'm all... Now What?! I'm not one for lofty resolutions that I never uphold but more of a goal getter mindset. I have a few goals in mind for 2018, and one of those is growing my business and presence online. I worked hard last year to clean up my IG account and be more intentional in my postings. Once I stopped posting in real time and started planning what content to share my Instagram account started growing and I was so happy to finally reach my goal of 1,000 AUTHENTIC followers! By authentic I mean not paid for. (The bots that offer followers are offering something that is not genuine people interested in your business and most of the time not even real accounts, I will never pay any company for followers, period.) My goal this year is to reach even more but not solely for the number and let me explain a bit. I want to grow my follower base not just to have the number but because I feel that by reaching a broader audience, I not only can grow my business financially but also because I want to inspire and motivate my followers. I think that this year, 2018, is the year of the woman. Women in entertainment, women in business and women as a population that gets stuff DONE - 2018 is going to be our year and if I can use my little platform of 1000 people to help motivate and inspire then I am succeeding in my eyes. It takes a LOT of work to pursue a dream. Many sleepless nights worrying about our businesses and if we will be able to support our families, how to turn inspiration into financial freedom, etc. We need motivation and uplifting posts that will help inspire and I'm hoping to really do that this year. I am also trying to simplify my life in many aspects this year. Less clutter, less purchasing just because its pretty but does it also serve a purpose? I reached major burnout level over the course of the past year because I was trying to do it all while my store was still open. I lost track of the "Why" in my life and started just focusing everything on my bottom line. When I opened my store my goal was to bring my art to the world by having a location for my furniture and also my vintage finds. When I opened I found out quickly that the location I was in was profitable but not in the arena that I thrive in. I was selling some furniture but for the most part what was paying the bills was gift and clothing items. While I loved merchandising that was not my original purpose so I quickly lost the passion and got burnt out. My store didn't fail but I needed to close so I could simplify and get back to my original passion of painting antique furniture and selling it along with beautiful gathered finds that make an impact in your home. This year I am excited to concentrate on my passions again and see how far that will take my business. Now that you have a little background on my goals for 2018, I want to look back on 2017. I had some of my favorite pieces I've ever painted in my last year but a lot of them were completely buried in the feeds because my store was in the forefront of my life. I am so excited to be painting again. My ideas are coming a mile a minute and I'm inspired to make the best out of what I have and grow my business with much less overhead that will allow me the time & finances to pursue life and other things while not reaching that burn out phase so I can stay creative. To keep the inspiration going scroll on down this post for my favorite pieces of 2017! And at the end will you do me a favor? Will you leave a comment letting me know what you want to see more of from my blog and IG over the next year? Do you love my painted pieces? 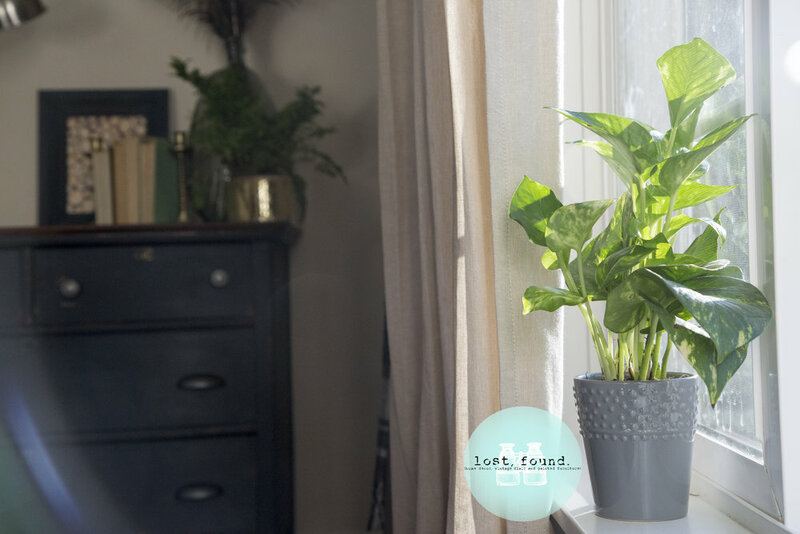 What about vintage finds and home decor or how about more of my lost, found rooms and interior designing? How about lifestyle and inspiration posts or DIY tutorials? Let me know, I really want to hear what my followers like to see from me so I can do my best to inspire and motivate you! I wish you all the best in the coming year and I hope you chase your dreams! One of the biggest compliments I received at my shop when it was open was how awesome it was that we created a space for kids. This was inspired by my own children who are not huge fans of shopping at "No Touch Stores". They often get bored and overwhelmed making shopping a memorable experience for Mom, not in the fact that I shopped but that it was more of a referee session each for each stop to make sure that nothing would get broken or too rowdy! At lost, found. I created a fenced off play area for kids to use while their parents shopped in my store. This made an enjoyable experience for the kids since they could draw on the chalkboard wall or play with toys and the parents could actually relax for a moment while they shopped and this would usually result in them making purchases they may not have made if they were worried about their toddlers running around. Win Win for everyone involved! When my store closed last month I brought home everything from the play space and realized that this close to Christmas it might make someone's little one very happy on Christmas morning as a brand new play room! So - here is the debut of my 2nd space in my lost, found. Rooms design project and its a play room! This is not a full room because I want to be able to accommodate my client's spaces and you may want this setup in your child's bedroom or to fit it into a corner of your existing living room if you don't have an entire room to dedicate as a play area. One thing that the Seattle area homes lacks at times is extra space so I wanted someone to be able to have this playroom element in a variety of sizes or spaces! I definitely wanted to include a Tnee's TeePee in the play space. 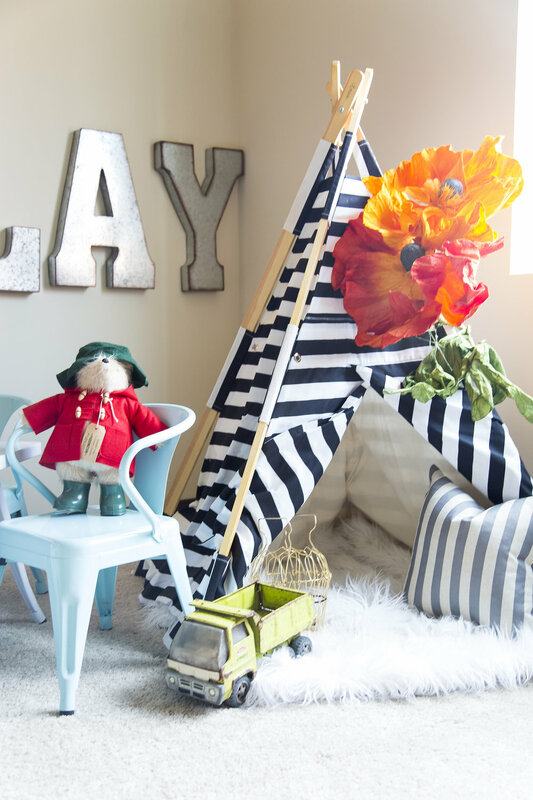 Teepees are such a fun imagination enhancer for children. You can add your own twinkle lights inside to make the perfect little reading nook, or just set it up and watch the fun because the possibilities for what a child can do with a little tent are ENDLESS! I proudly carried Tnee's TeePees in my shop and absolutely love their quality and that it is a small, family owned business, my favorite! The fabrics are durable, trendy and the construction is impeccable. Easy to set up and sturdy so they won't collapse on your child, they are the best! This is the last one from my stock and I love the vibrant black and white stripes that add such dimension to this space. I paired it with this fluffy faux fur blanket that you could use as a rug or just extra fluffy layers inside the teepee as well as a pillow since little readers need to be comfortable too! Remember what I said above about vintage items being "treasures"? 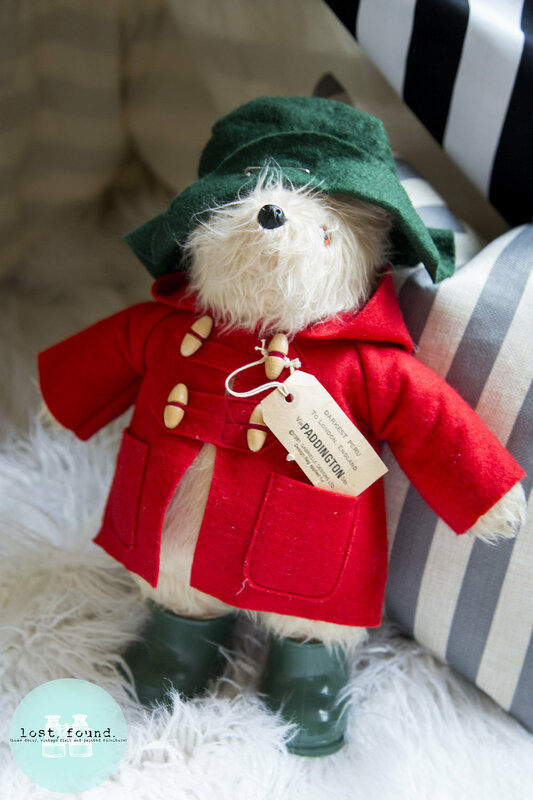 When I found this bear I knew he was rare because Paddington usually has a red coat with a navy blue hat. This one had a hat that was green with green boots which I hadn't seen before. Low and behold, look what I found in his little pocket?! This particular bear is actually from Harrods in London and is numbered 200 of 500! So he has travelled from actual far off places and think of the stories he must have! I included this fun abacus for counting practice and a fun vintage look, even though I believe this piece is probably a reproduction vintage item; it makes for fun decor and dimension on a shelf as well! Plus, fresh green plants are wonderful for educating our youth about caring for and growing things. This little guy will be very easy to take care of as he only needs about one ice cube per week for water! The sweetest vintage Peter Rabbit place setting probably would be best as wall or shelf display because they are breakable but they are just so cute I had to include them for this room! I had these giant poppy flowers in the play space as well. If you want to create a magical fairy garden or add texture to the walls these flowers are fantastic and received many compliments, but are a little worse for wear after a year in my shop! They would be amazing hanging from the ceiling or even attached to a railing or wall for a huge pop of color and dimension. 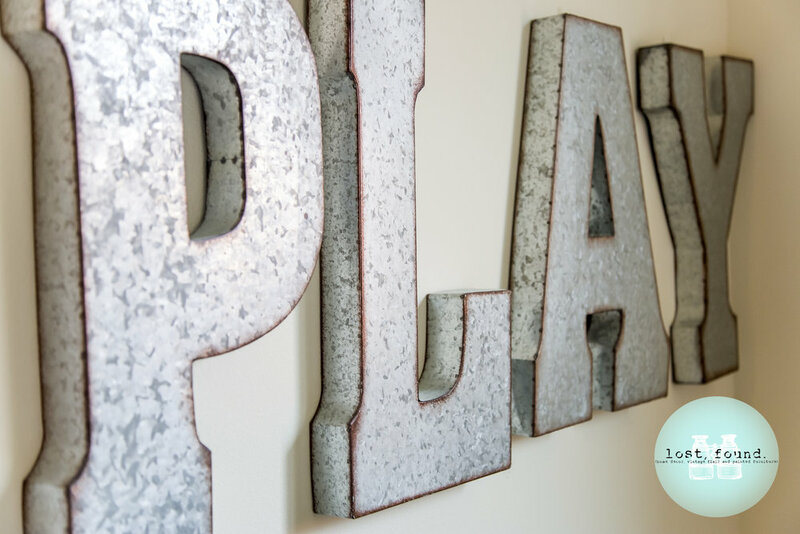 These galvanized letters spell P L A Y and were inspired by Joanna Gaines of course. Wonderful for farmhouse decor as well as young readers who are beginning to sound out and notice sight words! Lastly, I must talk about this table and chair set that I got from my local Fred Meyer. I had originally planned on a child size picnic table for the space. However, this metal table and chair set have held up incredibly well. Its easy to clean and is the perfect size for your children to use daily, plus the color is vibrant and eye catching! Hope you have enjoyed this little tour of the latest room design. As with my first project this space is available for sale, everything you see here in the photos is included for one price or after the first week we will open it for sale of individual items. Please submit a contact form if you are interested in purchasing the entire room or if you would like only certain elements. This is a local sale for residents in the Seattle area of Washington State unless you'd like to arrange shipping. One of my favorite elements to bring to a home is vintage flair and I especially love to feature vintage elements during the holidays. Something about the faded colors of antique glass ornaments and rusty metals mixed with soft lighting makes me feel all nostalgic for Christmases gone by. This year my dining table got the full on vintage treatment and since I want to start blogging again I thought why not give a little mini tour of my tablescape for Christmas! I don't technically have a "Dining Room" in our new house. More of a dining platform, meaning our table sits on a little platform in the family room with not much space so we have benches on either side that push under the table and 2 chairs on the ends of the table to save space. We actually live in our home and eat dinner as a family at the table so I don't have time for all that fancy place setting nonsense because I'd forever be cleaning up the table just for looks. No one in the real world has time for that on a daily basis! BUT that being said, my favorite place in the house to decorate is the centerpiece of our table. This is where we gather as a family, talk about our day and I love making different vignettes here every season. I started with a simple red and white snowflake table runner that I picked up at Ben Franklin craft store a couple of seasons ago and added a burlap ribbon for some texture as the base for my design. All of the vintage elements are from things I've collected over the years and one of my favorite things to pick up at yard sales, estate sales, thrifts etc is vintage toy trucks. I have 4 currently and use them to hold candy, napkins, and now bottle brush trees! A friend of mine gifted me a bag full of these cute flocked bottle brush trees earlier this year and I saved them knowing they'd be perfect for Christmas decorations! The cute windmill has got to be one of my sweetest antique store finds of the past year. I picked it up at my favorite mall in Cashmere, Washington a few weeks ago and it just adds the height and depth that I was needing for this vignette! The top even spins and rotates, its perfect for my little hanging Santa and doesn't it make this little scene a little more like a real tree farm?! 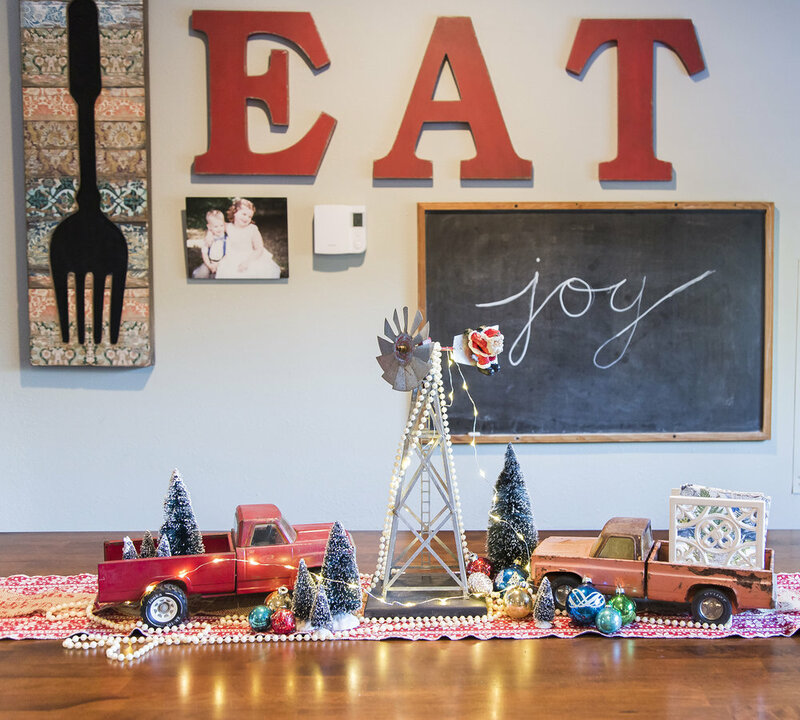 I finished off the vignette with some soft white fairy lights and a pearl garland, both also found at Ben Franklin Crafts and did a little "Joy" lettering on my chalk board. Side Note: This is the chalkboard from my childhood that hung in our playroom at my grandparents house for many years! Its a cherished piece for sure! What are some of your cherished pieces from your past that you have repurposed in your home as an adult? My oh my the journey I've been on the last couple of years my friends! On my 30th birthday I sat at dinner with my husband and told him, "You know, something inside me is telling me I need to pursue getting a booth space at an antique store, I think I'd be good at it." I had been selling online for a couple of years and was really starting to get into vintage and painting furniture. So I jumped in with both feet and started in a tiny little space in a tiny little shop, then moved to a bigger space, then added a 2nd store with a bigger booth space, then I started to sell online again and before I knew it I had 2 large booth spaces in 2 different stores and was thinking to myself, "You know, something inside me is telling me I need to open my own store." So again I jumped in with both feet and the natural progression of my business over the last year has been, to say the least, AMAZING! We found a great little space in downtown Snohomish with affordable rent and a beautiful brick wall, I couldn't wait to get my keys and get open! I opened lost, found. on December 16th. This place has been such an amazing outlet for me the past year (I realize that its not quite December yet, however the process of opening started many months before we opened the doors!) and I have made some amazing connections as well. Through being a part of this great community I have made friends with fellow shop owners, customers, locals and made many new friends online through the wonder that is social media! 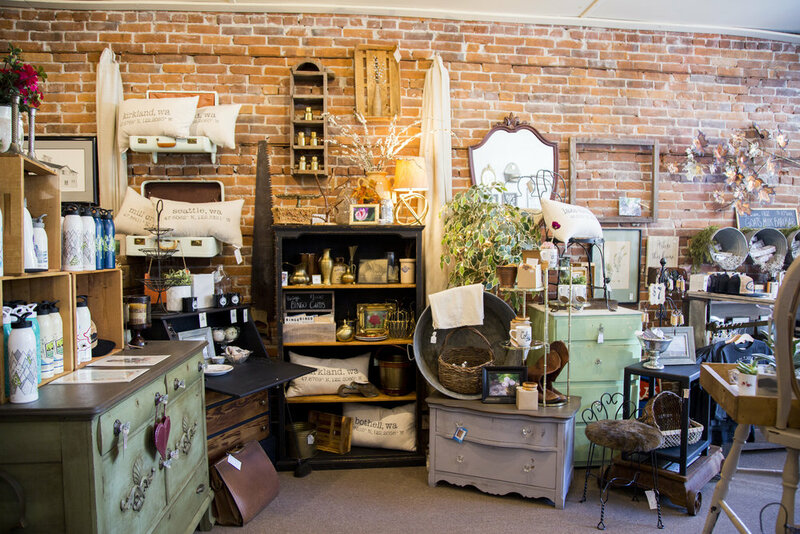 I enjoy coming to work every day and spending time rearranging our inventory, chatting with customers, restocking new merchandise, gathering the found merchandise and painting furniture pieces that find their way to new homes all over the state. Its extremely fulfilling for me! Its actually so fulfilling that I have been struggling hard to find the right words to announce to everyone that I have decided I need to close the store. One of my wonderful friends and fellow creator, Tina, finally gave me the words. She looked at me and said, "You are too creative to be chained to a counter every day." And MY GOODNESS she is so right! So here I am, on my 35th birthday actually, announcing to you all that I've decided at this time its just not right for me and my family to have this shop. BUT my friends, I have so much more to offer you by making this decision. In all honesty, I had been feeling very down and burnt out and depressed since deciding to close. Mostly I was feeling this way because I hate disappointing people and I have grown to love this so much that I was feeling like if I closed I was quitting, failing, and writing myself off. But the thing is, its not those things at all! Businesses evolve and let me tell you ever since Tina put that phrase in my head my inspiration has returned, my goals are loftier, I'm planning again and I'm very excited about the future of my business! So, what's the plan? First up is a closing date. Sadly its coming up very quickly with November 10th being our last day of operations at 717 1st Street. Yes, we will be having a closing sale! No, it will not be an "Everything Must Go" sale because I'm definitely not finished! If there is something you have had your eye on for a while, this is the time to message me! From now until closing we will be running a sale of 20% off our wholesale merchandise including: Clothing (except the bring me socks!) Beekman 1802 products, Baggu and elSage Bags, All Cards, Aluminum Water Bottles and Sweet Pickins Paint! I will also have RED pen markdowns on merchandise around the shop and will also be selling some of my fixtures so if you are a fellow store owner and are interested in any of my display pieces please feel free to ask about them, all shop fixtures will be available for pickup from November 13th-18th, we will not be open during that week but will be busy packing up, selling any leftover pieces by appointment only and moving on out! CLOSING DAY! November 10th will be our last day open. I hope you will all stop by and say hello/goodbye if you can that day because its going to be a big party! I'll have treats, refreshments, big deals and we will be open late until 8pm! I will be creating an event on Facebook for this last day party so be sure to follow us there so you can see what we are up to next and get the deets! The FUTURE of lost, found. Through opening the store I have rediscovered my passion for photography and gained a new passion for interior design and staging! While I'm no longer taking photos of babies and brides; now I really enjoy photographing my vintage finds and furniture. So I definitely plan to utilize this and reopen my online shop! This is very exciting because I get questions all the time about purchasing and shipping items from my out of town followers and now I'll be able to offer that service to those interested! My plan is to do limited collections of vintage and antique pieces once or twice a month. I'll be announcing these collection sales via social media, Facebook and Instagram as well as the blog! I am also having a great time with my lost, found. Rooms projects! My 2nd room is a playroom and I absolutely cannot wait to reveal that one for you guys in a couple weeks! I'll be working closely with fellow local artists and creators to add fantastic elements to these rooms and I really hope this takes off. Now that I won't be working regular hours at the store I get to translate those hours into other areas and custom work is back on the table since I'll finally have some more time on my hands! I'm open to all the possibilities including custom paint projects, one on one paint tutoring/classes, interior design and staging rentals! If you or anyone you know would be interested in having a piece done or having me consult on some design projects, definitely shoot me a contact form and let's collaborate! Lastly, vintage shows and a small booth space are on my agenda. I love to travel and want to be able to bring lost, found. on the road to some of these amazing vintage shows and markets that I've been to so I'm working on a few exciting prospects and will absolutely let you all know where and when you can shop from me in the very near future! I hope upon hope you all will stick around to see where we go from here. 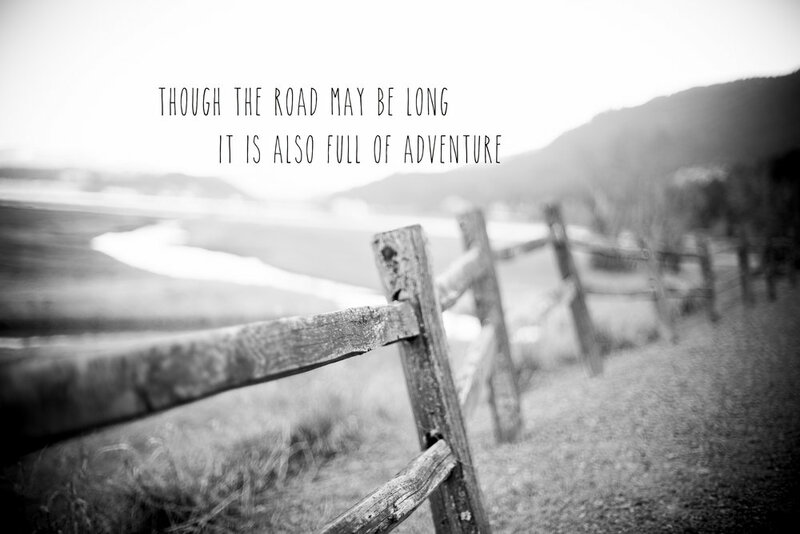 Possibility is exciting and scary all at once! I'm so grateful for all of my amazing clients, customers, friends and family that have supported and encouraged me through all of our ups and downs the past few years, its been quite the journey! Since opening my shop last year I have heard things like this time and time again from customers browsing in the store: "I wish I could live here." "Wow, I want to move in!" 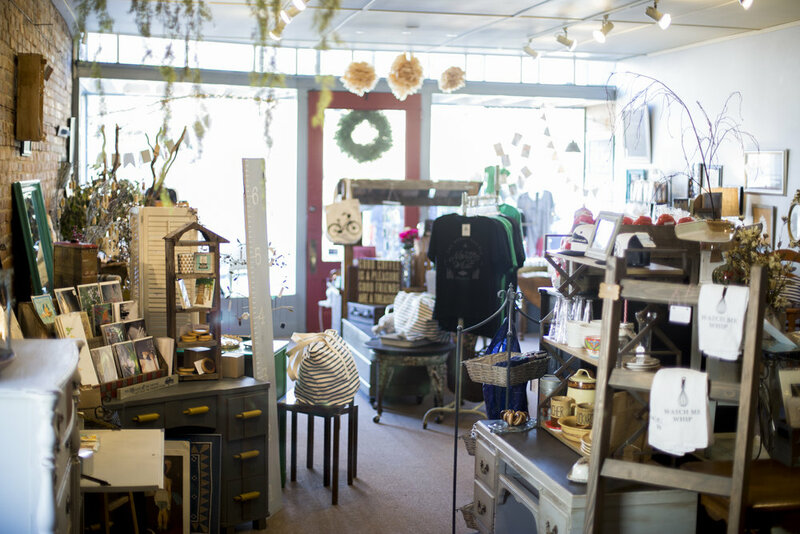 "The shop is beautifully arranged, it makes me just want to live here." That got me thinking... What if you could? Since I started painting furniture I have always tried to combine my love of paint with my love for photography by taking nice staged photos of my finished pieces. In the beginning, I used things from around my house to "Pretty" them up a bit for the photos. Then I started trying to use mostly things I was also going to have for sale so that if people wanted to have the same look they theoretically could. This new concept is just continuing to evolve from that original idea but on a bigger scale. Instead of just one piece for one price this concept involves designing an entire space around my painted pieces of furniture. The rooms will feature one or more painted pieces of furniture as well as other gathered pieces and items both found and new and the ENTIRE space will be available for sale, right down to the curtain rods! So here it is! The debut of my first room and I couldn't be more proud! For this first space I wanted to design a living room. Mostly because I had started designing the room when I found that beautiful sofa and had it in the space already. 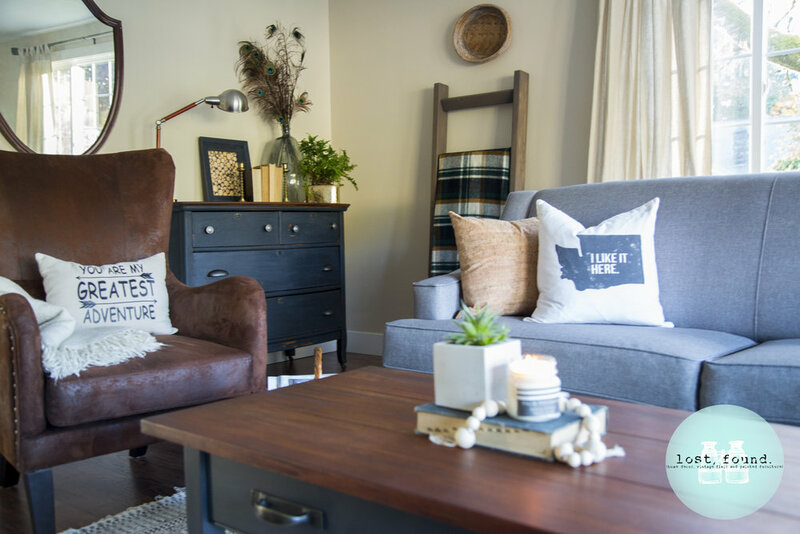 Then I came across the dresser and decided to design a contemporary space with definite BOHO accents to bring a cozy and traditional feeling to the room. If you have followed me for long you'll know that one of my favorite things to do on furniture is to stain the top and paint the body. On this piece I had to strip veneer from the top and gave it a beautiful new mahogany stain. Then I painted the body in chippy and timeless navy milk paint, sealed the piece with beeswax and added new hardware. To accent the top of the dresser I added some vintage books of varying sizes with a pair of adorable vintage brass candlesticks. I also thought the peacock feathers in the vintage jug as well as the lamp gave this little corner some nice height and texture in an otherwise boring area. The frame is painted in the same color and filled with an image of wood rounds to accentuate that cozy at home feeling. The coffee table got the same stain treatment on top with a dark gray graphite color on the body. The entire piece was waxed for protection and the original hardware on the drawer. 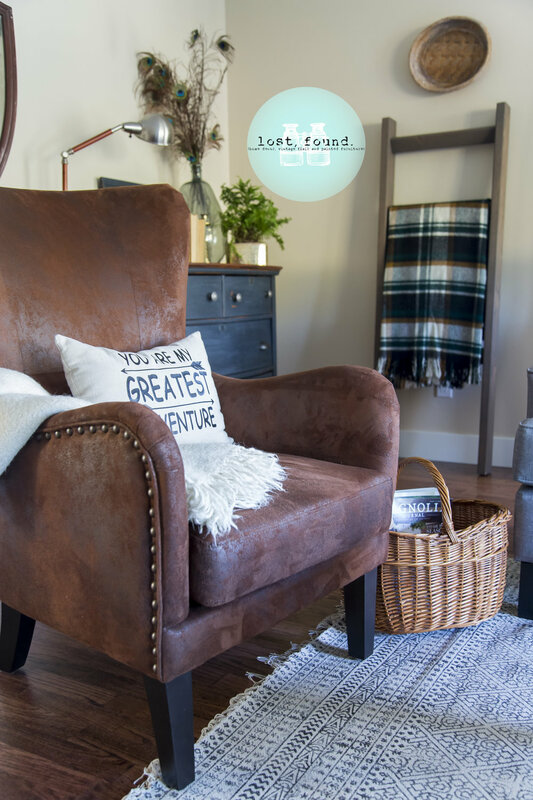 This faux leather club chair and boho style rug are found pieces that I feel really give this space dimension and character. I absolutely LOVE the pattern on the rug and the fact that its got a little sparkle to it, I secretly want to keep it! Another aspect of my business that I LOVE to talk about is my relationship with other local makers and business owners, especially fellow moms. 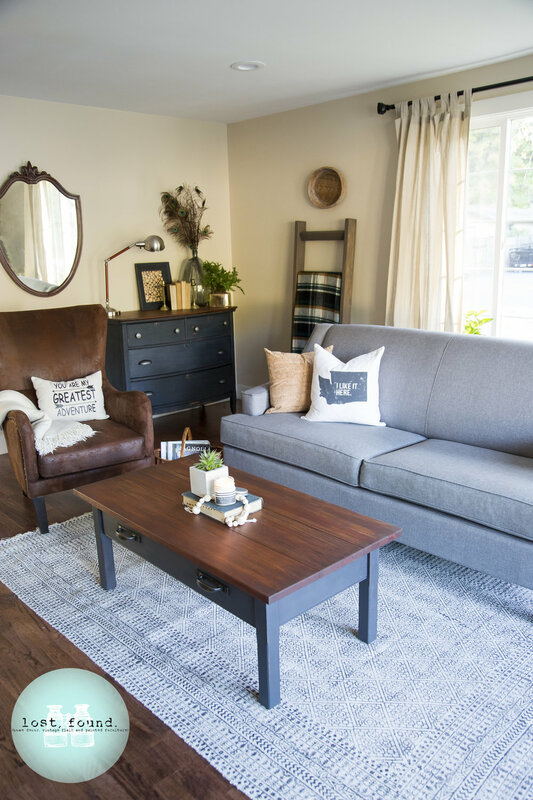 I really feel strongly about the idea of community over competition and thankfully because of my own small business I have met some amazing women who craft and make beautiful home decor items that I was proud to feature in this space. 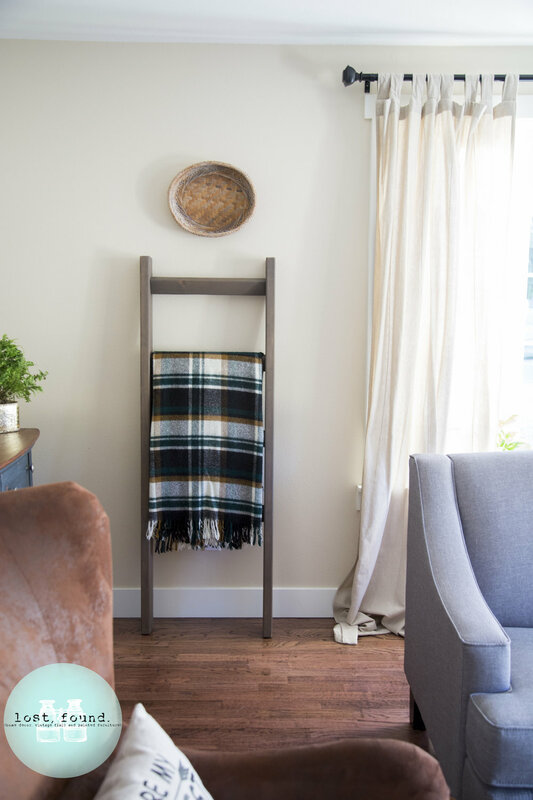 The blanket ladder was handmade by a dear and amazingly crafty friend, Tricia. The soy candle is hand poured by Amanda of Ferpie and Fray down in the Tacoma area. (Purchaser will receive an unburned candle!) Through Amanda I came across Tara from By Design Co. who makes amazing pillow covers with my favorite Pacific Northwest theme and I am obsessed with them so had to make sure I incorporated one into this design. The "I like it Here" fits not only with our area but also the room, because I really do like it here! And the fourth local mom who makes featured in this room is Allie from Lavenders Blue Handmade Decor. Allie actually delivers my candle orders to me in Snohomish and I was so excited when she showed me the amazing and on trend cement products she makes. I had to include one of her succulent planters with this room because of the boho theme and it fits perfectly! I love all the little details right down to the three living plants that will bring clean oxygen and peace to your space. So now that I have shown you all the beautiful details, here is how this concept will work. Everything in this room featured in these photos is available as a package deal. Yes, you can buy everything you see here for ONE price! You don't need to go out to any other sources or websites, just simply fill out a contact form here on the website so we can arrange the sale! Local Seattle Area buyers, unless you are willing to travel to pick up as shipping and delivery is not available outside the area. This room will be available for sale as a whole for ONE WEEK. So from now until November 1st the priority will go to a buyer who wants to purchase the entire space. After the first week I will open up the room to sales of individual items. During the next week if you decide you would like to purchase one or more of the items seen above please send a contact form with your email address and which items you would like to purchase. I will reply with the cost of the items and put you on a wait list. If the room doesn't sell as a whole and becomes available for individual sales then we will contact people on the list, send invoices and arrange pickup or delivery of your pieces. There you have it! I really hope you all enjoy and please feel free to send a contact form with inquiries about the space available or future spaces I'll be working on! *Please also note: comments on the post are enabled, however, in order to purchase items or the room you must submit a contact form.